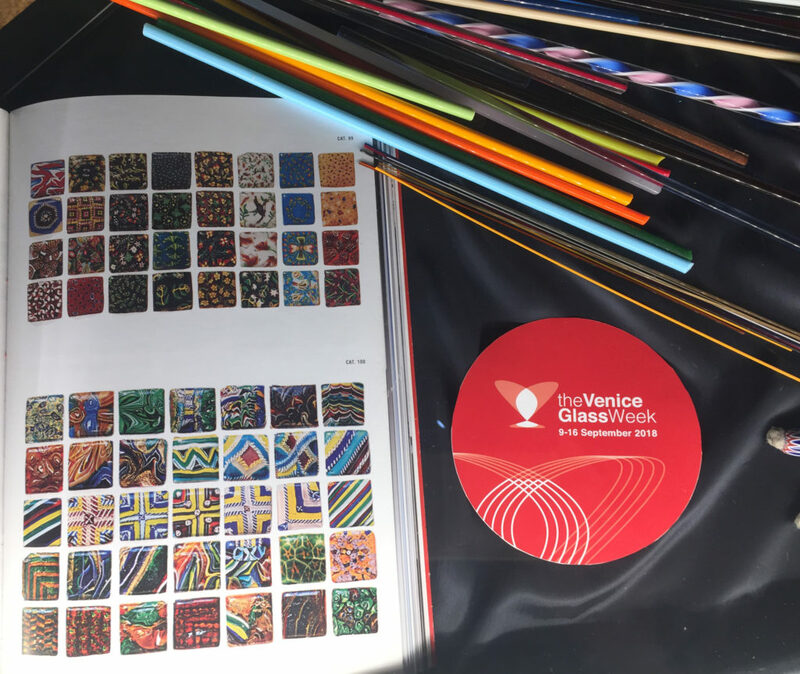 People from all over the world gathered this last week for the Venice Glass Week, a week dedicated to art of glass. With 180 events, the days have been packed full, so I had to make choices. Even so I averaged 7-8 miles each day as they were spread throughout Murano and in Venice. I confess that sometimes the location was more interesting than the meeting or just the chance to see old friends. If a picture is worth a thousand words, how much is a demonstration worth? There were so many, this one very simple, a demonstration of making windows the old fashioned way. These are for a hotel on the island of Lido the designs by an artist exclusively for the hotel. 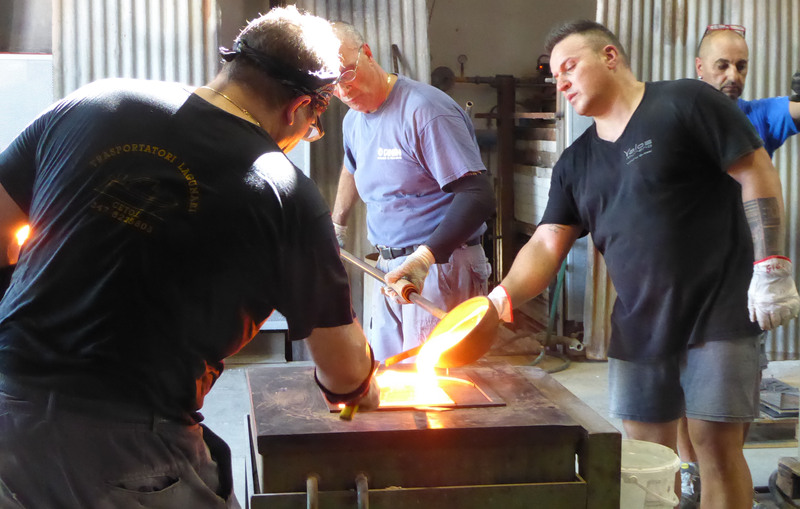 The actual pouring is quick, the designs required tooling to make each piece and the colors are poured one by one. 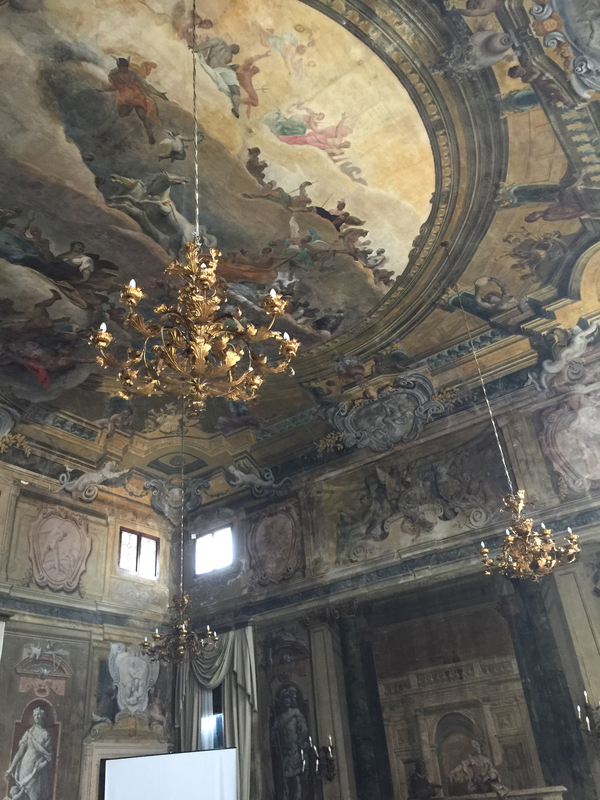 Ca’Sagredo was the location of a couple of displays and round table discussions. Ca’Sagredo was built by the Morisini family but was purchased by Nicolò Sagredo who became the 105th Doge of the Venetian Republic. It’s prime location by Ca’d’oro and expansive view of the Grand Canal is impressive as are the meeting rooms and chandeliers. 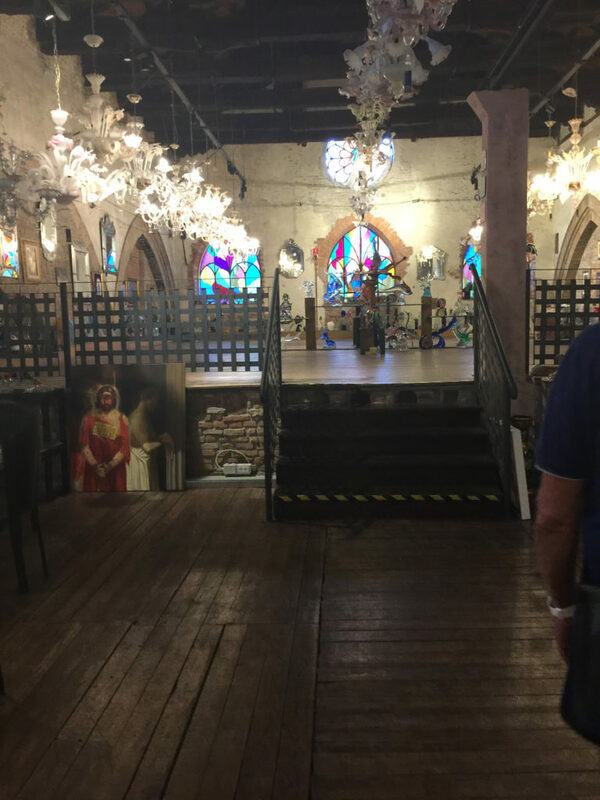 There was an exhibit of antique murrine by the Moretti family. One of my favorite exhibits was by the spunky Giusy Moretti, the daughter of Ulderico Moretti. Each of her fabulous pieces of jewelry are an inheritance from her father, grandfather and great grandfather (Luigi & Vincenzo) and are set with care into 24kt Gold. These creations were displayed in the stunning Scala Bovolo, an ideal match. She is shown her displaying the scarf she designed featuring the murrina from her family. 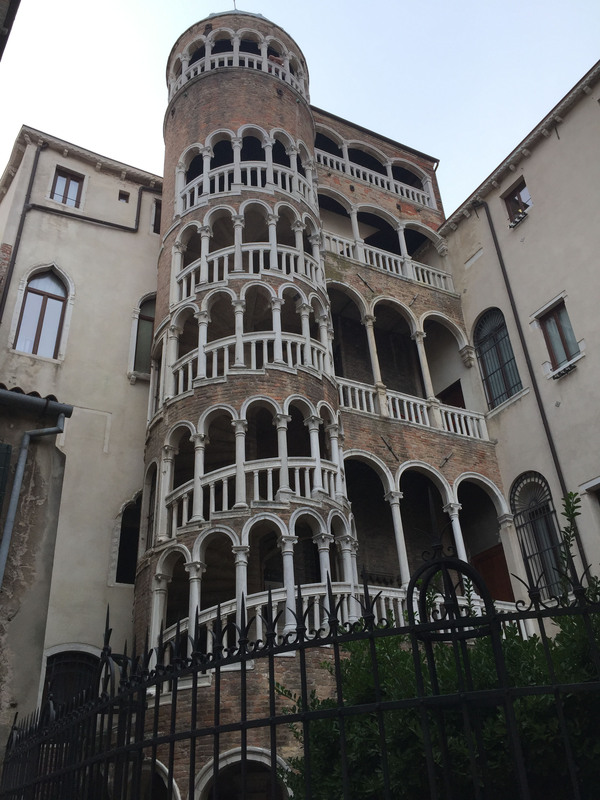 The Scala Bovolo exterior spiraling staircase is believed to have been build around 1499 and provides a great view of much of Venice. It has, I think, 113 steps to the top and a small exhibit of Tintoretto paintings. 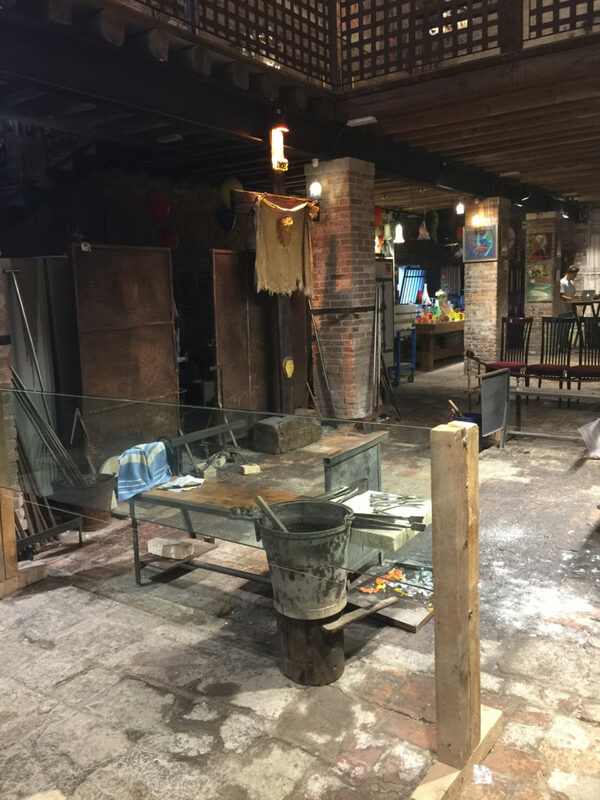 On the island of Murano, furnaces were open everywhere for demonstrations. 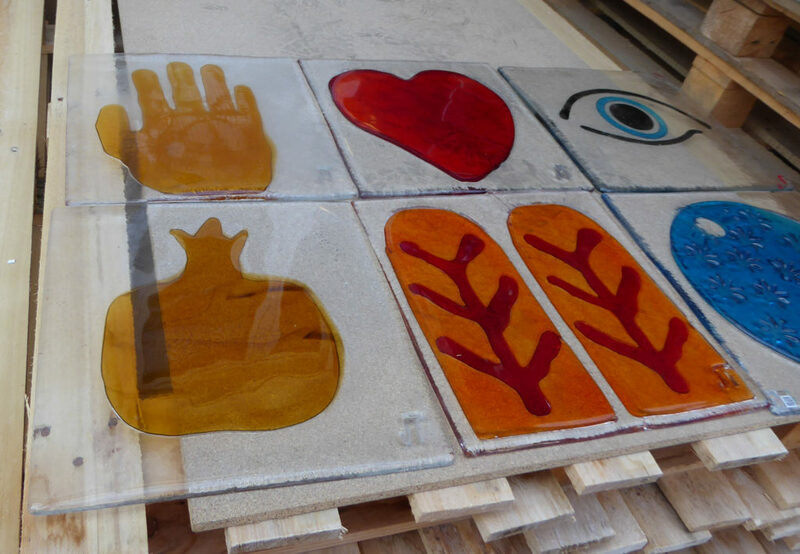 Abate Zanetti the glass school on Murano taught classes all week. 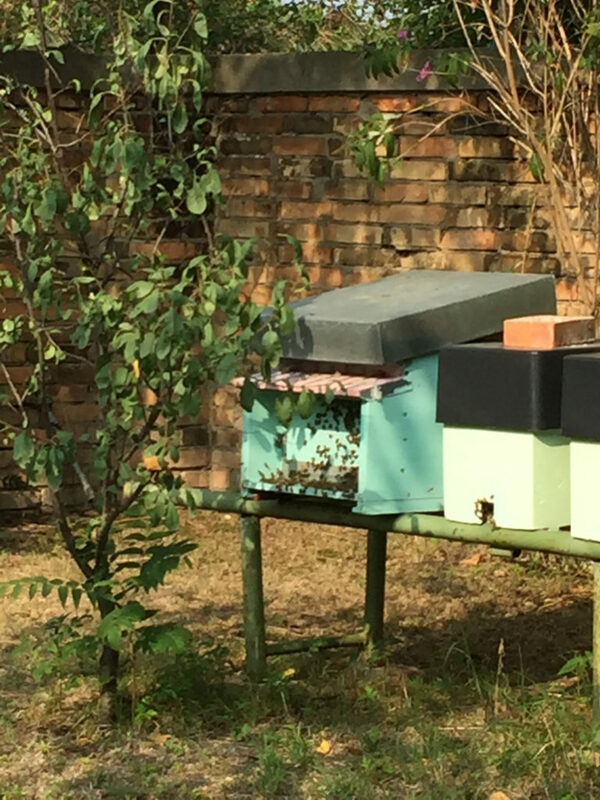 The artist Judi Harvest’s project on Saco Serenella included hauling in load of earth, planting a garden, importing “api” bees and making honey. The location was the draw for me, and we were offered natural mosquito repellant…and now I know why. But for me, a revisit with an old friend in the furnace gave me another chance to see a couple of amazing installations that he has made in the past. We carry some of his work on our website VenetianGlassArt. 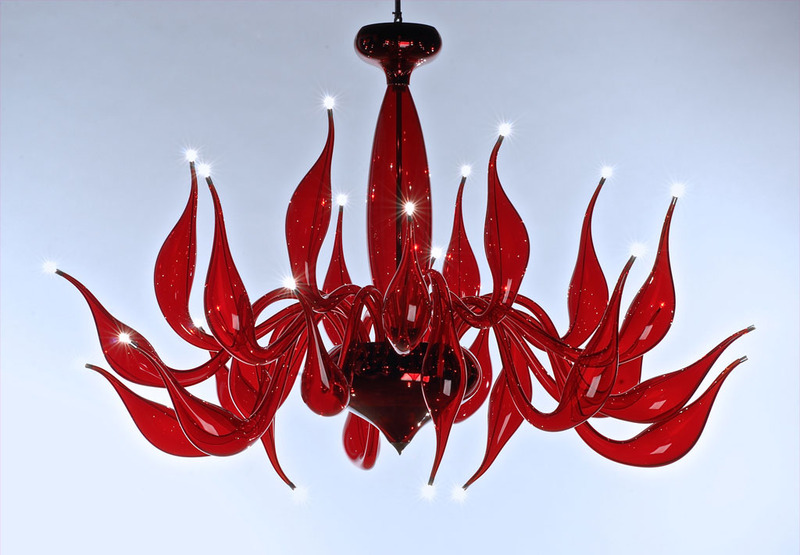 He uses the techniques of lost wax and microfusion along with traditional Murano glass blowing and sculpturing. In his version of the popular fable, Cinderella, not only are the slippers glass, but so is the castle. It stands about 5 feet tall. 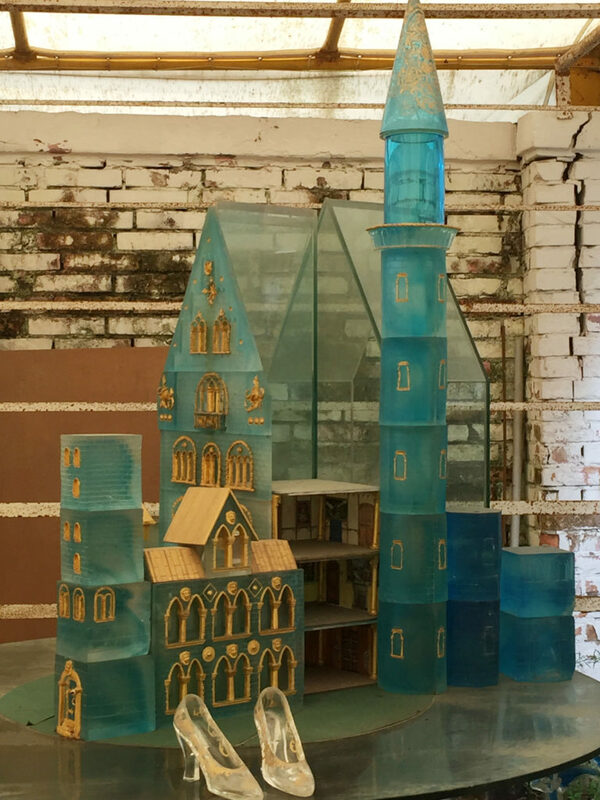 And his Temple stands about 10 feet high, all glass, made in lost was and then carved. I believe he made this for the Biennale about a decade ago. You can clearly see the amount of work that went into making this. But the week was far from over and we were off to visit with Fabio Fornasier, in his new studio location across from the boat stop Venier. Fabio’s elegant chandeliers are found all over the world and one of my favorite is hanging in a favorite bar/restaurant on F.dt Nove, Algiubagio. But the week kept going and there were still furnaces to visit. The almost final was a party at the Ex Chiesa di Santa Chiara complete with Prosecco, glass blowing and a DJ in the former church. The renovation of the space is amazing and the fabulous chandeliers of Mazzucato hang. It is a space for tours (tourist of course) but the well designed space can be appreciated by even Muranese (of whom we had a few in our group). And so ended another Venice Glass Week, tired yet invigorated with a feeling that Murano will survive and thrive. Can’t wait for 2019 Glass Week. Thank you for sharing your views of this important event. 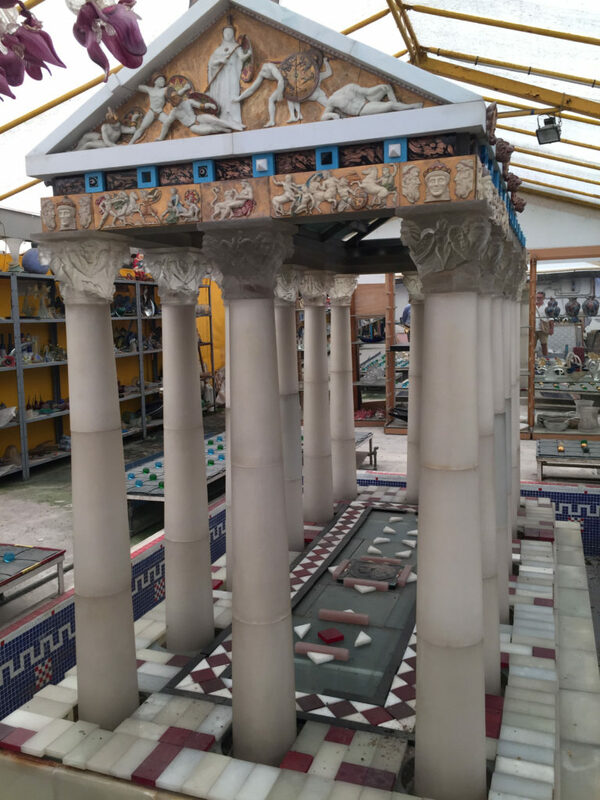 Great to see the photos and to see that this fabulous artisanal craft will continue on Murano. We all hope that this global attention will aid the furnaces. But note that many of the venues feature artists from outside Murano.